And so I've finished the other Vita reimagining of a DS Tales game. The first RPG entirely in Japanese I've finished as well! Neither Innocence nor it's reimagining were released in the West, so Japanese was the only option without pirating the DS version. It wasn't my least favorite Tales game, but it's certainly no great loss we never saw it in the West. The story is kinda fundamentally not that great. The main cast of six characters (as well as several NPC's) all have past lives whose memories influence their actions. The main problem is that these past emotions and memories conflict with the characters' normal aspirations and personalities. It all made for a very strangely dissonant feel to the otherwise well-written characters that never really clicked for me. The end villain was fairly well constructed, and it wasn't my least favorite villain in a Tales game, but this has certainly been my least favorite overarching plot in a Tales game. It is worth noting, however, that just as Hearts used several narrative ideas that would be improved upon in Graces, Innocence uses several ideas that are improved upon in Vesperia, so that was an interesting tidbit to notice. I'd still say Hearts and Graces have more similarities than Innocence and Vesperia, but it's still interesting. As a final note on the story, I will mention that this is the only Tales entry I've played where the macsot character (think Teddy from Persona 4, Cat things in Monster Hunter, the Cheagle from Tales of the Abyss, basically just a cute fluffy character they can make toys of easily who isn't a human) actively annoyed me, so that's something else to consider. The combat and leveling system are fairly similar to Hearts R in many ways. The leveling is done independently, but skill points earned in battle can be spent on "styles" (skills, basically) in a big style-grid, and you unlock more stuff as you do certain sidequests and as the story progresses. I thought it was okay, but a smidgen more confusing than it really needed to be (in good ol' Tales fashion). I think I preferred Hearts R's system to this though. The content added for the reimagining compared to the DS version is fairly significant. Two new party members bring the total up to 8, and they're both fairly well written into the story. It's a little clear they've been tacked on after the fact given that they don't have any really big stakes in the story, but it never feels like they're just absent from any given event and they make their presence worthwhile. The new Vulcan weapons are also a fun diversion that give you a new 2nd ultimate arte, which was another cool feature. Just like in Hearts R, there're characters from other games (in this case from Hearts and Xillia) as the final encounters to fight in the arena, but they are WAY harder than in Hearts. They're significantly harder than the final boss, I'd say, in Innocence R, where they're far easier than that in Hearts R. Also some Tri-Verse areas to do in the post-game (I think you actually have to do them in new game +, which is a little lame) which are crazy difficult but give some new backstory to the added party members, but I didn't try those. Verdict: Recommended for Series Veterans. There are so many other very well done, not to mention domestically released, Tales games out there that I find it difficult to recommend one I didn't enjoy quite as much to just anyone. For anyone itching for more Tales who has enjoyed entries in the series since Abyss, though, I'd say this is a fine thing to give a whirl. It's not bad by any means, just not quite up to the standard of others in the series. And so ends my journey to play through the recent Mario titles I own but hadn't yet played/beaten. It took me a little while to get into it, but it's definitely the best example of Mario in that style up to that point. It took me a little over 16 hours, and I got all 120 stars (but didn't attempt any of the green ones because ain't no one got time for that). The level design reminds me of a Kirby game, to be honest. Kirby Mass Attack specifically. One of the things I love about that game is that EVERY level feels really different from any other. Mario Galaxy 2's 48-ish Galaxies have a very similar effect of each stage trying to be very different from another, and it succeeds greatly. As a kind of prototype to Mario 3D World, I suppose, most levels only have 2 or maybe 3 stars as opposed to the 3+ so many in Mario Galaxy 1 had. Many new power ups involving both just Mario and the new Yoshi to diversify the levels even further. The controls are top notch, as usual, and Mario controls very well. There was only one point where Yoshi didn't quite do his flutter jump even though I'd told him to, and occasionally wall jumping wouldn't quite cooperate with me how I wanted it to. There was also one level (Flipsville) where you go upside down frequently and the control during that is very unintuitive, I felt. Verdict: Very Recommended. If Mario 3D World didn't quite do it for you, then this is another fantastic dose of just about as good Mario platformy goodness. This is only single player though, so I do still have to recommend 3D World over this. It was definitely the top of Nintendo 3D platformers at the time though, to be sure. Mega Turrican! Amazing stuff and a nice follow up to Contra. 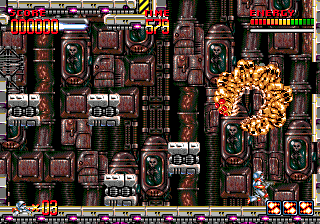 From what I understand, Mega Turrican is kind of a conversion of the Amiga Turrican 3. So this one might be more canon than the two Super installments, but I still think I like Super Turrican the most. The pictures should say it all. Does it look awesome? If yes, then it's probably for you. An awesome run and gun platformer with very top notch graphics and INCREDIBLE music from the master Chris Huelsbeck. Not too big on the Bionic Commando rope mechanic and tricky platforming here and there, but it's not a huge deal. The difficulty is fair, with some cheap deaths in the earlier stages off and on with pits or some busy spots in one of the water levels. But if you explore a bit it's easy to stock up on lives. Had to use one continue, but you get 3 I think, so it's very doable for a first run if you're familial with the genre. Bit on the longer side for these types, took me 1h 26m. But the level variety is constantly fresh and there's tons of bosses to get through, never got old! Also Alien Covenant wasn't that good, but it was nice to play Mega Turrican today to follow up on the real Alien canon. Other way around. Mega Turrican was developed first and Turrican 3 is the port. One of my favorite games on the console. I didn't care for Super Turrican as much because it was sort of rushed and unfinished. 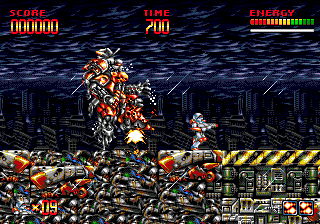 Super Turrican is still a pretty big game though. 2's a real oddball with so many gimmicky stages, but I still love it... technically very impressive stuff. The atmosphere rules in all of them. 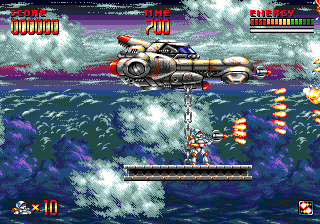 I'm just now realizing there's also a regular Turrican port on the Genesis, I think this is the one I maybe played ages ago and assumed this was Mega Turrican this whole time, lmao. 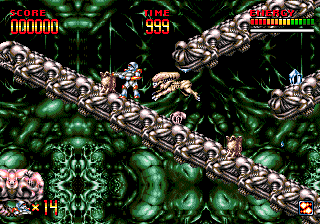 The port of the original Turrican is a real hackjob by The Code Monkeys. Avoid it like the plague. I still love Super Turrican, just not as much. 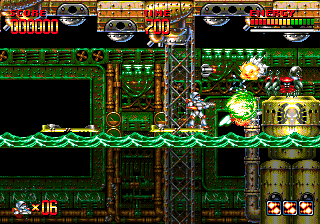 Gunstar Green wrote: The port of the original Turrican is a real hackjob by The Code Monkeys. Avoid it like the plague. Maybe we should confirm and clarify, by Super we've both meant Super SNES Turrican this whole time right? Super Turrican NES looks pretty cool though. Really rad it was all done by Manfred Trenz, even the music which has a cool darker vibe to me. I definitely want to check this one out. Yeah the Genesis Turrican looks rough and it sounds like they had no idea how to port the music over or something. Bit of a butcher job from what I'm seeing watching some vids. I think it was Exhumy Senpai a few weeks back who mentioned in some thread that he was interested in how this game was but no one had played it. WELL NOW I HAVE, and I return to spread the word of it's thinguses. Docomodake is the mascot of the Japanese mobile phone provider NTT docomo. For reference, he apparently exists in a similar space culturally to Domo-kun over there (although clearly not here). This is a puzzle platformer starring him. It's a budget game (I recall it retailing new at $20), but it's a quite competent one. 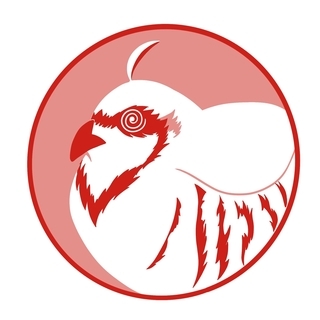 Docomodake works by going through levels to collect treasure and get to the end goal. The treasure is completely optional, and only exists to increase the rank achieved on that respective stage. There are 7 worlds (one after the credits) with 8 stage a piece. (For reference, I did not do the post-credits world, as I really wasn't enjoying the game enough). You break down Docomodake into smaller units of himself, and can move these smaller Docos around with the stylus to do things like push switches, turn into rocks to throw at enemies, and stack into ladders for your main Doco to climb. It's almost like a very simple Pikmin in that regard, but that feels like a very generous comparison. The stage design is adequate. There's never anything mind blowingly good or awful either way, and some of the puzzles to get certain treasure without blocking it off for yourself are actually reasonably tricky. It didn't take me long after a quick observation to figure most of them out, but if you're just mindlessly walking forward you're bound to miss stuff. 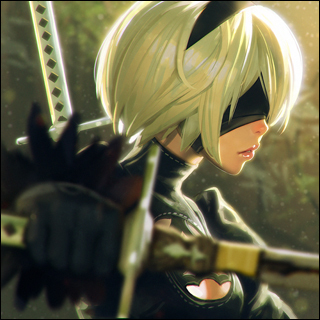 If you're trying to get everything, I would personally say that is the most satisfying way to play the game as an adult, but a child would probably enjoy just getting through the stages. It's a fairly good babby's first puzzle game, I suppose (like for a 5-10 year old). Verdict: Okay, but not Recommended. It's a decent enough puzzle game on DS, but puzzle platfomers like this or better are a dime a dozen on a platform like Steam. It's a fine game, but nothing worth writing home about. Xeogred wrote: Maybe we should confirm and clarify, by Super we've both meant Super SNES Turrican this whole time right? Correct. And the NES one is neat too. 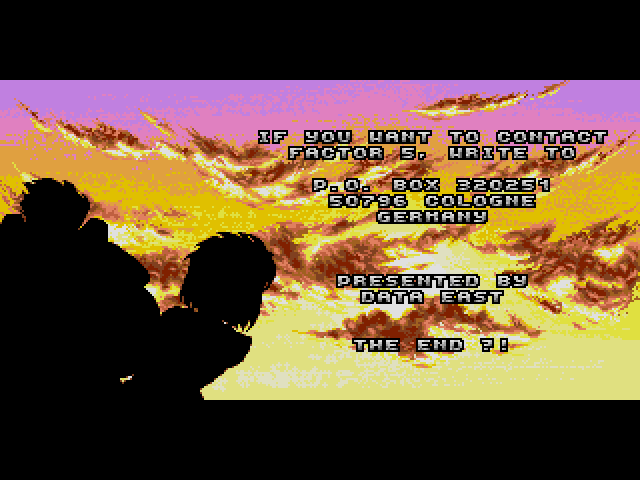 Avoid the TG-16/PC Engine Turrican port. It plays OK, but the graphics are weak, the music is weak, and it really highlights the flaws of the early game design.